I made this Goldthorn farming guide to help out players who want to farm the herbs instead of buying them from the Auction House. Goldthorn can be found on top of small hills and it's recommended to have Herbalism 150, so you won't get any herb fragments. Below you will find a list of places where I could farm the most Goldthorn. 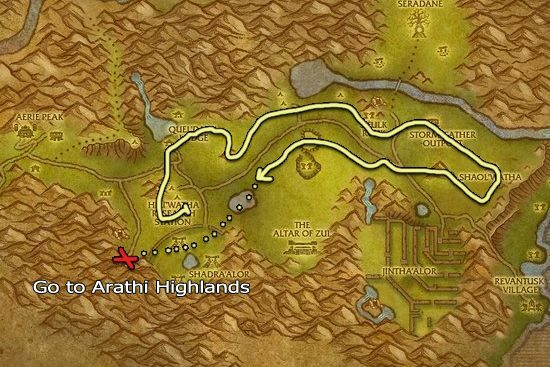 These two zones are good places to farm Goldthorn. 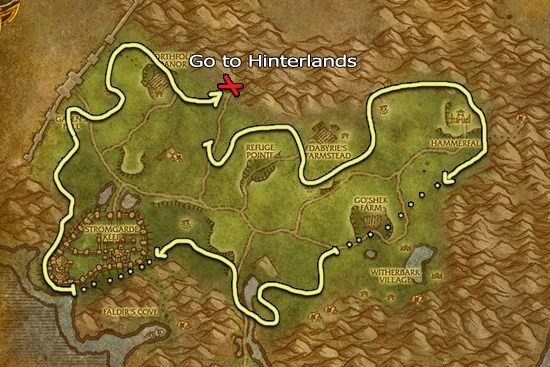 But if you have a fast mount, most of the herbs won't respawn after you do a full lap in one of the zones, and this means you will have to wait a lot. Fortunately, these two zones are next to each other, so you can just move between them, and this way no matter how fast you gather the herbs, they will always respawn in the other zone. I tested this method with a 310% flying mount and I could farm Goldthorn all day long. I marked the tunnel where you can go to the other zone with a red X on both maps. 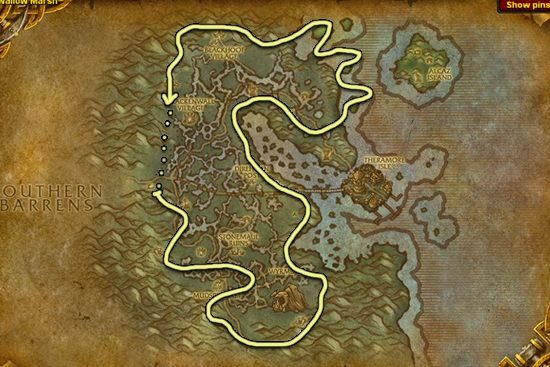 Dustwallow Marsh is also a great place to farm Goldthorn, but if you only pick up Goldthorn and nothing else, you will finish one lap in the zone too fast and you will have to wait for the herbs to respawn. This might not be a problem for those who only have slow mounts.